Is your pet food or toy motivated? Find out if your pet will perform for a tasty treat or their favorite stuffy and use it to your advantage! They will likely sit still for a taste or play session. Get your pet to understand that sit means sit until told otherwise. To do this, gradually lengthen the time of the sit, add in distractions (like the favorite stuffy), and teach them a release cue that lets them know they are free to move. Once your pet has mastered the command, snap away! Taking photos of your pet becomes significantly more difficult when there are hundreds of distractions. Try and find a place without other pets, people or food to distract your pet from the task at hand. Don’t force your pet because the results won’t be pretty. Instead, get on their level, play with them and make them comfortable. Try and keep the photo shoot short and to the point, and if all else fails, get a candid of your pet’s profile or of them acting naturally. Sometimes the candid shots end up being the favorite. 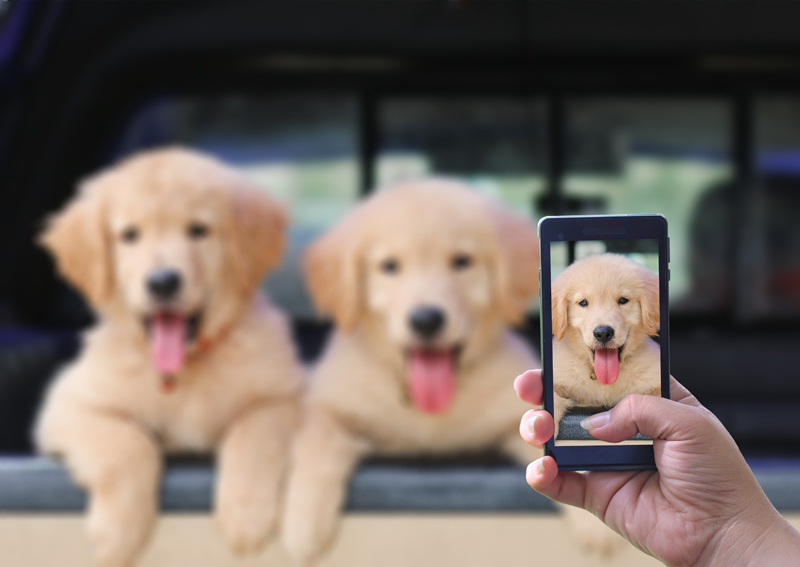 Once you get the perfect snapshot of your pet, it’s time to find the best print! Photography.com offers an amazing variety of print options to suit your style preferences and to complement your home. The easy-to-use site features multiple types of prints from classic canvas prints to an attractive bamboo print. Once you select your favorite print option, upload your image and place your order! Win 2 ways with the 1-800-PetMeds Photography.com Giveaway! 1-800-PetMeds has partnered with Photography.com for not one, but a 2-part giveaway! Everyone is a winner in the first part of the giveaway! Visit Photography.com/1800petmeds for a FREE 8X10 gallery wrap canvas ($49.95 retail value)! Use code PETMEDS at checkout to get the print 100% free! Just pay tax and $11.95 shipping/handling. See site for details. For the second part of the giveaway, 1-800-PetMeds will be giving away one (1) different special Photography.com print every day for 9 days. There will be a total of 9 winners. The prizes will be an 11×14 Gallery Wrapped Canvas Print, 11×14 Metal Print, 11×14 Acrylic Print, 11×14 Glass Print, 11×14 Wood Print, 11×14 Framed Canvas Print, 16×20 Gallery Wrapped Canvas Print, 16×20 Metal Print, and a 1-800-PetMeds Custom Branded Pet Bean Bag Toss Game! Win a FREE Photography.com print for your cat or dog! Get the perfect frame for your favorite furry buddy! Just leave a comment below, and you could win a FREE Photography.com print from 1800PetMeds! One winner will be chosen at random each business day from Wednesday, August 1, 2018, through Thursday, August 9, 2018, so everyone who participates has a chance to win! There will be a total of nine (9) winners. (Limited to residents of the U.S.) Good luck!